Finding a proper dining establishment with a gourmet kitchen, tasty dishes and a cosy vibe is surely an achievement on its own. Especially, when we’re talking about the ultra-touristic village of Portaria in Pelion. Gefsokratoras though, for many years in a row, consistently tops the charts on our list on these dimensions! 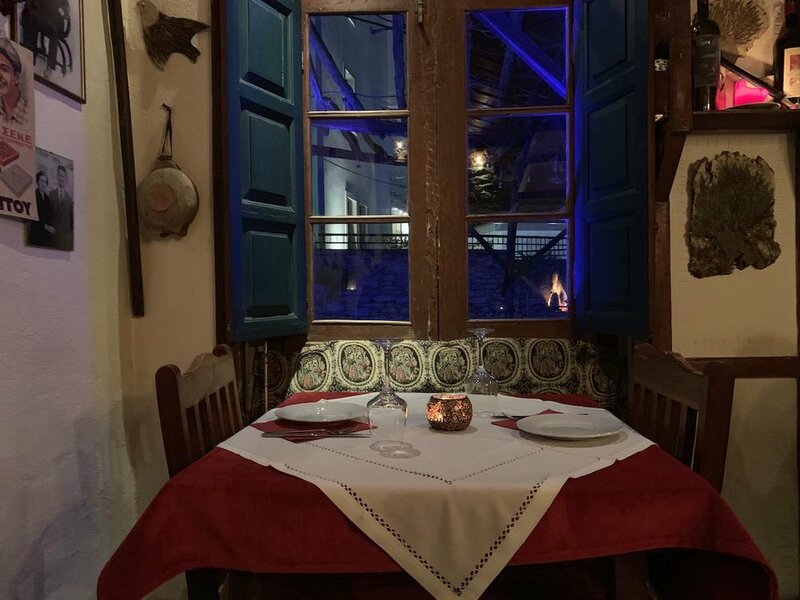 Tucked away in a small uphill cobblestoned path close to the main square, the restaurant occupies a unique stone-built building with a traditional setting next to a big fireplace and cosy interiors throughout. The menu is a bit creative for your average restaurant in such a remote place of Greece, but delicious indeed! Homebaked bread hot off the oven! Walking in you’re immediately greeted by the crackling sound of the fireplace, central to the main dining room as it is also used for some light cooking purposes; folk aesthetics all around, white cloth tables waiting for you (assuming you’ve made the necessary arrangements for a reservation) and a soothing sound of light music in the background enough to help you settle in. A family-run business, Gefsokratoras, led by Antonis Tsolakoudis offers a creative menu with an emphasis on meat and love for heavy ingredients like truffle and parmesan cheese. Last time I visited, weather was wintery and chilly which made for the perfect backdrop in order to indulge in the divine dishes! We started off with big chunks of their braid-shaped homemade bread (that I must say comes piping hot as soon as you’re ready with your order!) and a couple of spoonfuls of their welcome treat. 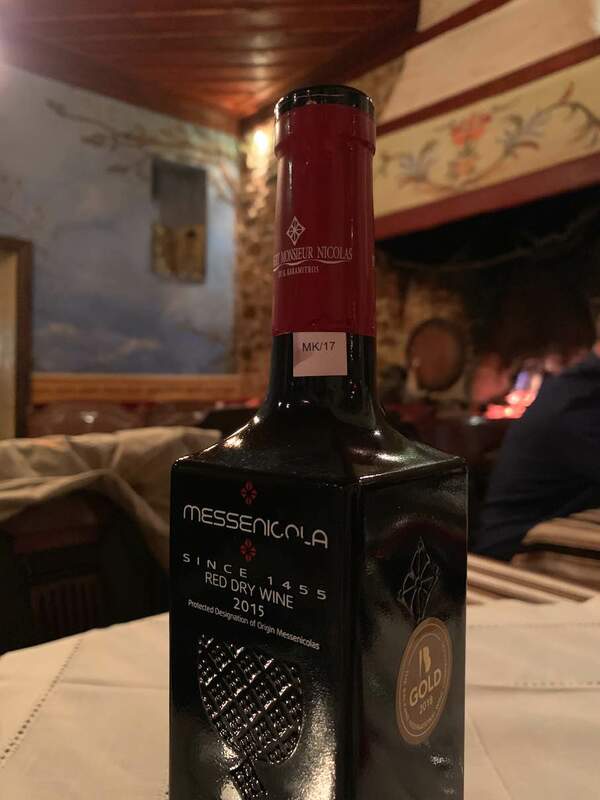 Red wine is always a must there, so along we followed suit with a mature Syrah from Mesenikola! The salad was simple - yet fresh and crispy, with lettuce and parmesan shavings. Last but not least, we had a portion of their signature starter - caramelized mushrooms with parmesan shavings served in a hot saucepan! For mains, we had pappardelle with beef knuckle and truffle and pork panchetta chop with baked potato and jus. Other great picks overall are beef tenderloin in truffle oil, as well as melted goat cheese with berries.